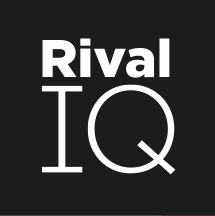 Rival IQ will not support Google+ after Jan 28 because the Google+ platform will be shutting down. Google announced that they will be shutting down the Google+ platform and API. This means Google+ users will no longer be able to post on the platform and Rival IQ will not have access to this data. If you want to save historical Google+ data, please download anything you need as soon as possible using our CSV and PDF exports, before January 28. As always, reach out to our team if you have any questions.